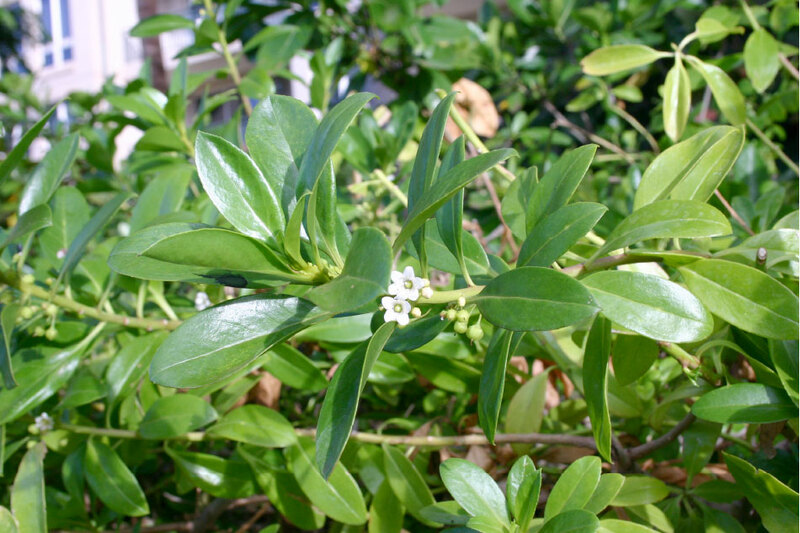 Myoporum sandwicensis, known as Naio in Hawaiian, is a family comprising 4 genera and about 220 species from Australia, eastern Asia, and Pacific islands, with one monotypic genus Bonita L. in the west Indies and northern South America. The wood has a fragrance like honey and was confused with sandalwood. Naio are extremely variable plants from prostrate and shrub forms to fifty foot upland trees. Coastal varieties are usually shrublike, whereas some upland forms can be trees. Early Hawaiians used larger branches and trunks for posts, rafters and thatching poles or purlins in homes (hale) and for netting needles or shuttles.